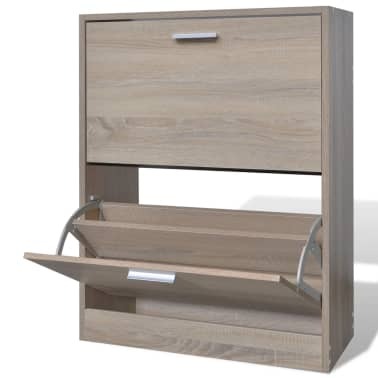 This wooden shoe cabinet has 2 storage compartments and a simple, yet stylish design. 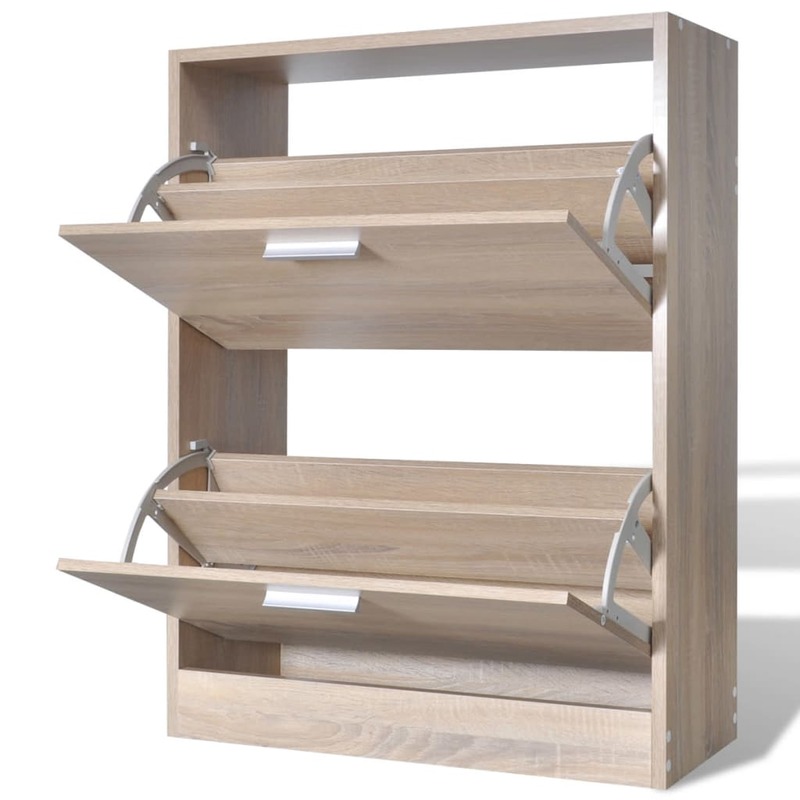 You will no longer be annoyed by shoes cluttering your floor. 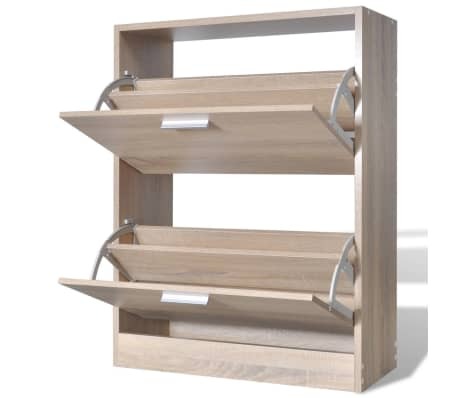 Each large compartment has a middle partition to keep things organised. Up to 12 pairs of shoes can be stored dust-free. 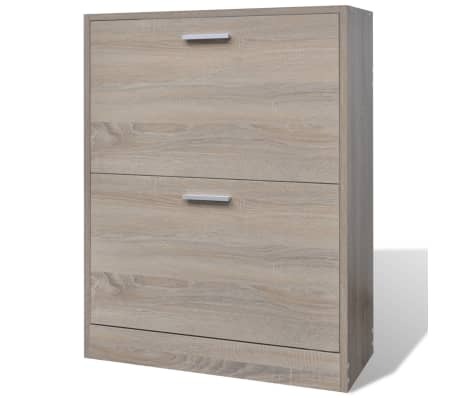 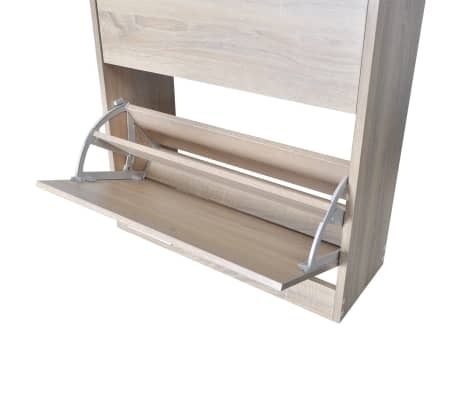 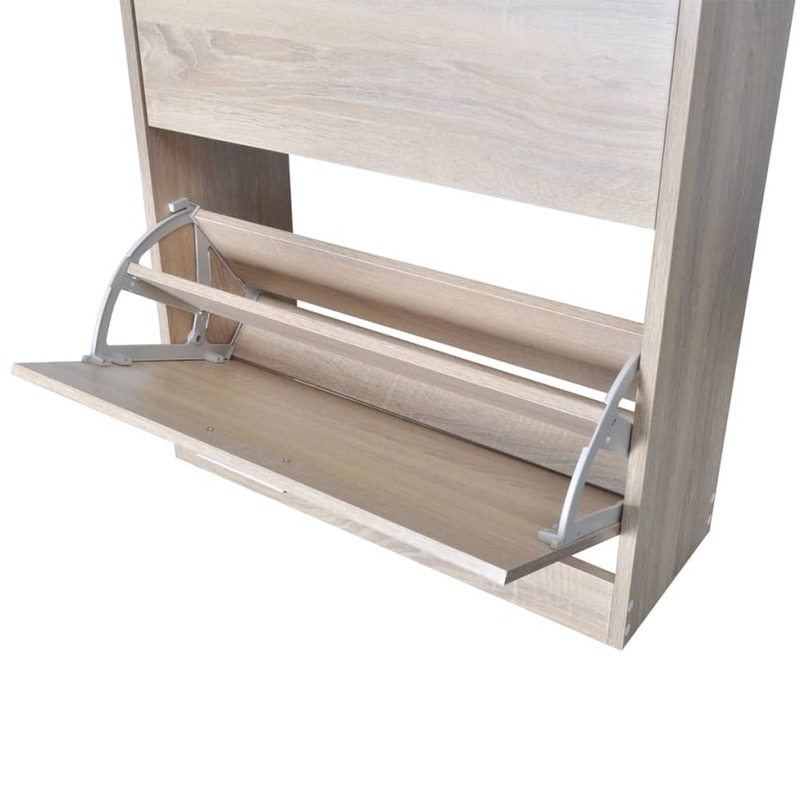 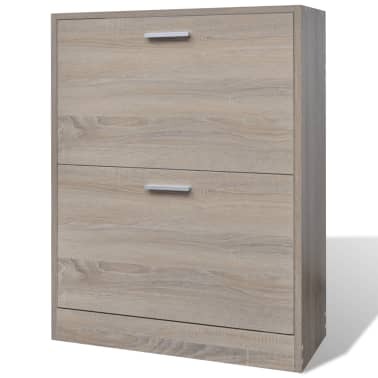 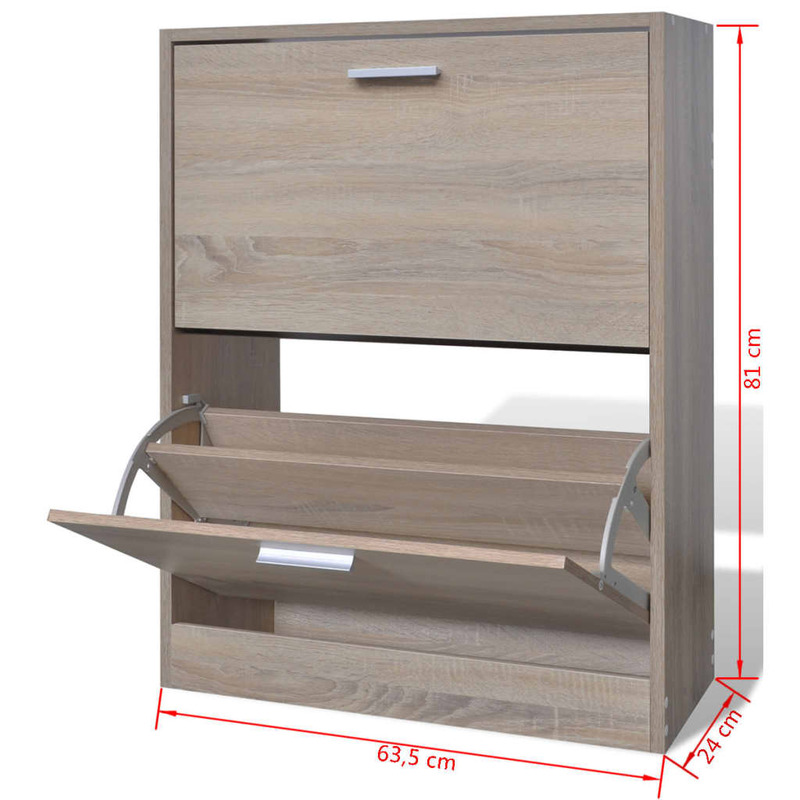 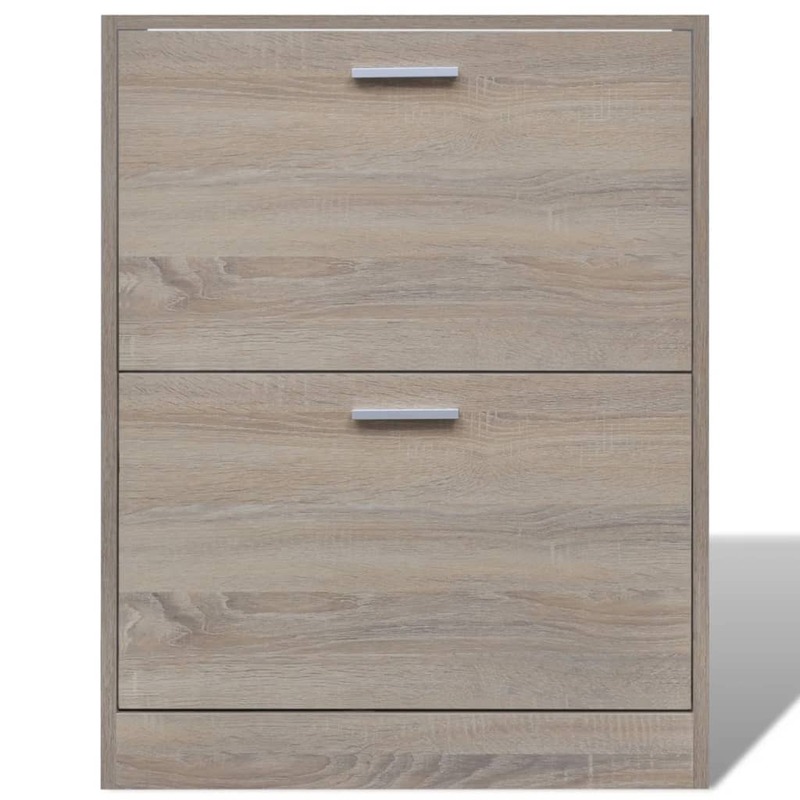 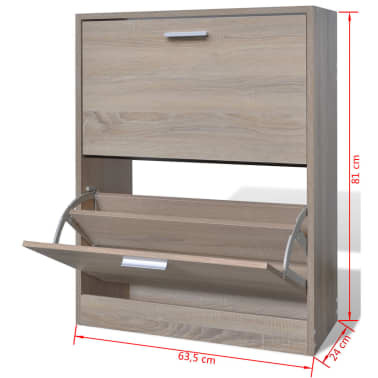 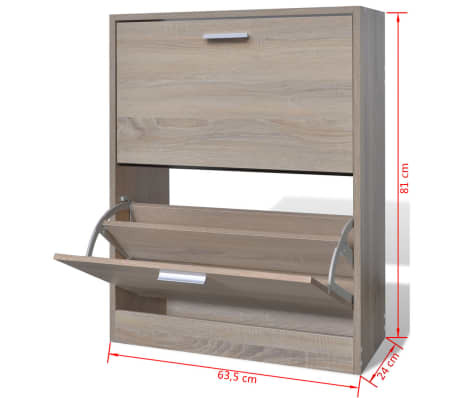 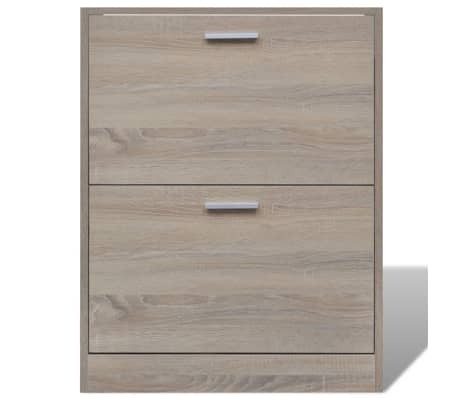 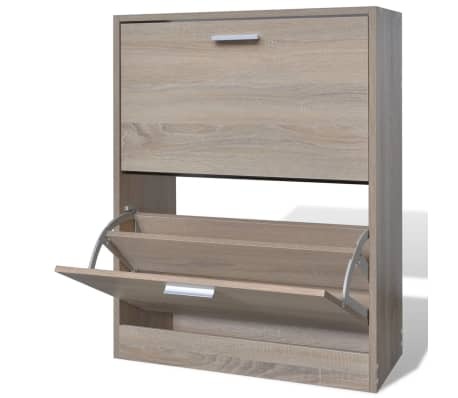 Made of high quality wood, our shoe cabinet is easy to assemble.